Walsall central defender Dan Scarr has spoken to the local press and insisted that he is getting stronger and stronger as each appearance goes by, admitting that it will take time for Saddlers fans to see the best of him as he learns how to adapt to playing football week-in-week-out. 24-year-old Scarr, a former Birmingham City development prospect who has made ten first-team appearances since arriving at Banks's Stadium for an undisclosed fee in January, believes he is growing as a player and will continue to work hard on cutting out the mistakes whilst also building a partnership with Jon Guthrie. Speaking via the Express & Star, Dan said; "My performances have been getting better as the games have gone on and I’ve been getting sharper. There have been a few mistakes I’ve not been happy with but I put those lapses down to game time – the fact I hadn’t really played for a year. "It’s frustrating when you’re not playing. I’ve always been fit but when you’ve not played for a while, it’s about getting your mind sharp – things like concentration. Training is so different to games and you need to play to get that match sharpness. But I think I’ve grown into it." Scarr, who played for Causeway United, Redditch United, and Stourbridge before joining Birmingham City in 2017, went on to discuss his time with the St. Andrews side, admitting that he knew it was time to move on as he needs to secure as much first-team football as possible. The former Worcester City apprentice spent a twenty-six game loan spell with Wycombe Wanderers shortly after he joined Birmingham, and soon realised that he would have to move on if he wanted to look back upon his career with no regrets. Dan continued; "I’m coming towards the peak of my playing career. I need to pick up as many games as I can so I can hit the ground running for when I hit that peak. I came into professional football late – I was 22 – and had a season getting up to speed at Birmingham. "I only got 20-odd games at Wycombe so I needed to get back to playing. Now I want to play well for Walsall and keep as many clean sheets as I can. I want a successful career and to look back with no regrets." 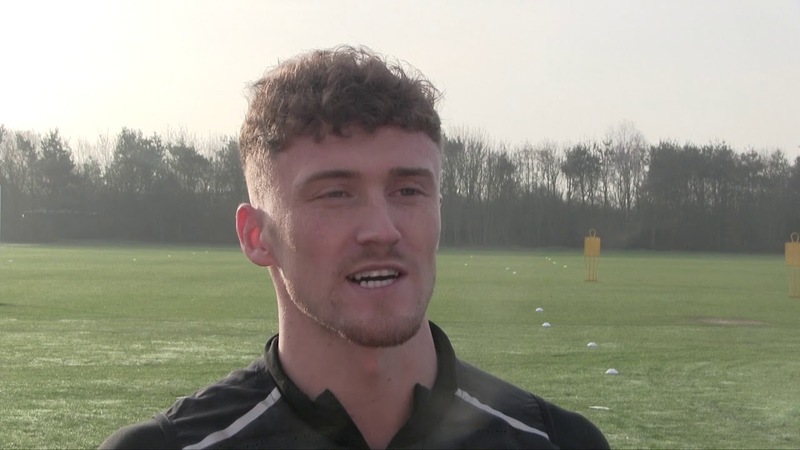 Scarr finally went on to talk about his centre-back partnership with Jon Guthrie, admitting that he is enjoying playing alongside the former Crewe Alexandra man as they continue to adapt to each other's strengths and weaknesses. He continued; "It takes a few games to get used to playing with someone but I feel we’ve started to form a good partnership now. You need a few games to know where each other is going to be. I know he’s going to win the majority of things and the rest I’ll cover – and he’ll do the same for me."